We don't drink much alcohol in our house. The occasional cider or alcoholic ginger beer is about as exciting as it gets. Cuba does have a cocktail named after it though so we've decided to give it a try. The Cuba Libre was invented in Cuba in the early 1900s and translates as 'Free Cuba' which was used as the slogan for the Cuban Independance Movement. Squeeze some lime juice into each glass and add some ice cubes. Add a shot of rum and top with cola. Garnish with a segment of lime. The rum has a lovely warmth to it when you have a mouthful and the lime gives a tangy depth of flavour. I quite liked it, which is impressive because I don't enjoy the taste of most alcoholic drinks. This is the 5th and last Cuban recipe so we'll be off to Denmark next! 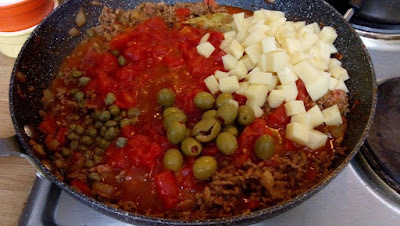 Picadillo is a meat hash often used in tacos or wraps but can be served as a meal on it's own. 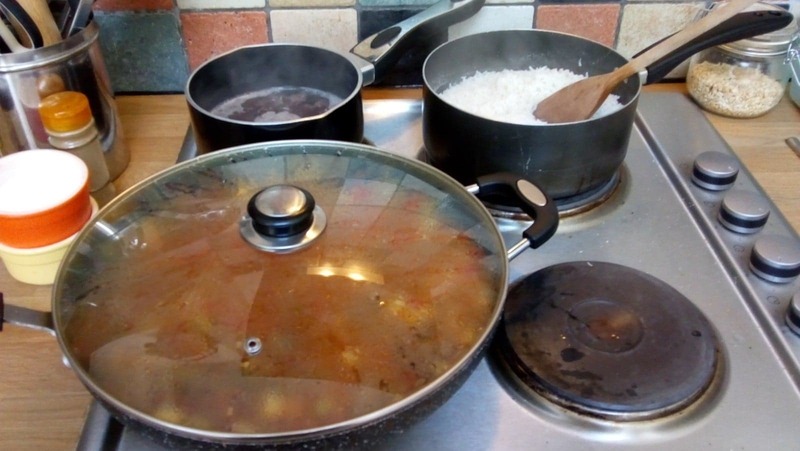 Traditionally served with rice and black beans, so that's how we're going to have it. Dice up the onion and pepper then saute it in the oil for a few minutes. 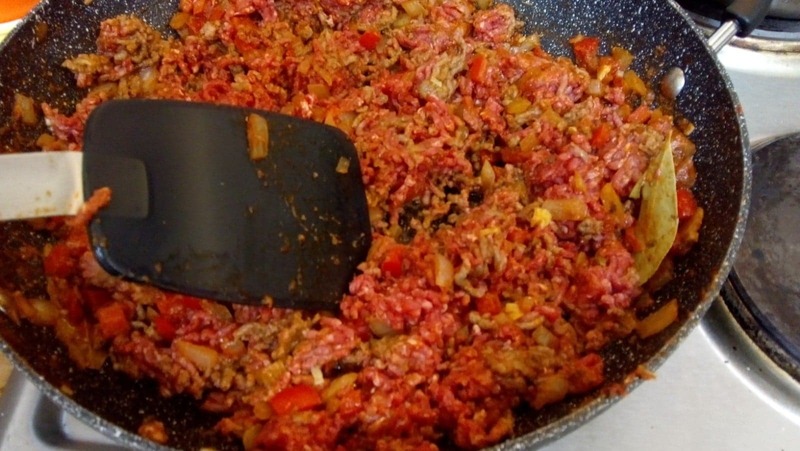 Add the tomato paste, garlic, oregano, salt, pepper, cumin and bay leaves. Stir as it cooks for about 2 minutes. Add the water and stir well. Cook for a further 5 minutes to reduce the liquid. Add the mince and break up into chunks. Cook until no longer pink. 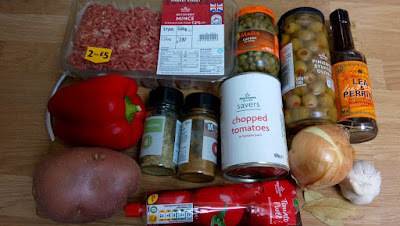 Now add the olives, capers, diced potato, tomatoes and Worcestershire sauce. 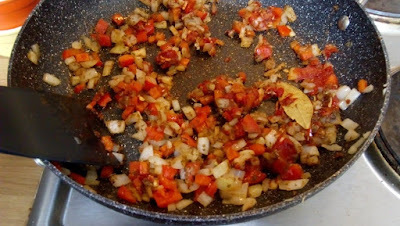 Cover and reduce the heat to medium. Cook for 10 minutes or until the potatoes are done. 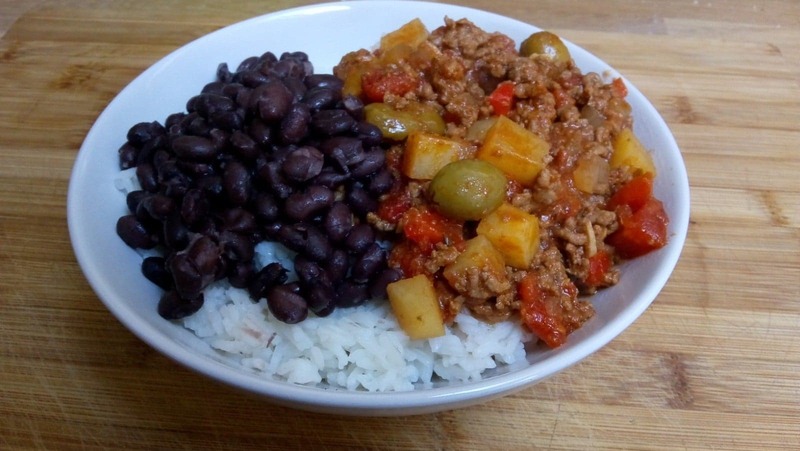 Serve with boiled rice and black beans on the side. Pastelitos de Guayaba are square little pastries filled with guava paste and cream cheese. We've never tried guava before so we're all curious how it'll taste. I bought the guava paste from Amazon and it came with tiny little packet of guava sweets. So cute! Such a simple list of ingredients, I love it! Spread out your puff pastry. Slice the guava paste into 1/2cm slices and place them on half of the pastry. Next, spread some cream cheese on each section of guava paste. Fold over the pastry and press down the edges with your fingers. Cut into individual squares and place on a lined oven tray. Bake for 25-30 minutes at 204 C.
This sandwich uses the Medianoche bread I made in my last post. It's similar to the Cuban sandwich apart from the bread used. Cut the bread rolls in half and then spread some mustard on each half. 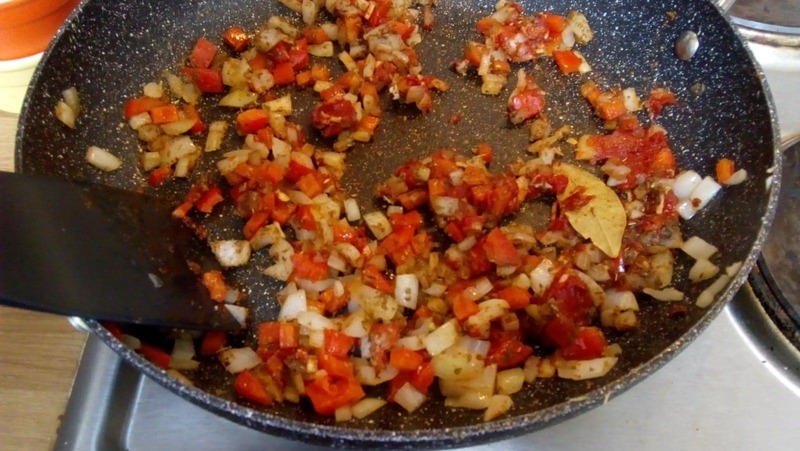 Now you can start adding the filling. Cheese, ham, pork and sliced dill pickles. It looks like quite a tasty looking sandwich already but now it needs to be cooked. Melt the butter in a pan and add the sandwiches. Use a heavy press (or like us a heavy pan) to squash the sandwich while it cooks. 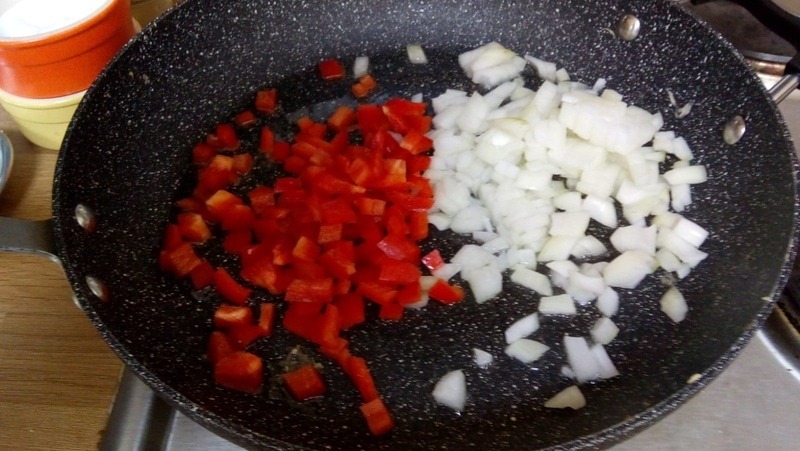 After a few minutes on each side the sandwich should be crisp and browned. Slice into chunks. This sandwich was great! Meaty and filling with the classic combo of mustard and pickles. I loved it. It is a hassle to make the medianoche bread but it was worth it, it has a sweet flavour and a dense texture that soaked up all the mustard and made for a delicious sandwich.